Hi guys! Let’s talk about breakfast today. I know right, what a good topic to start on a Monday! I have mentioned in the past that my beloved and I were serial breakfast skipping offenders. Since we often complained about lacking energy in the morning, and therefore not a morning person, I thought it’s high time that we get our act together and NOT TO SKIP BREAKFAST! So far we have been making good progress on our breakfast routine especially on work days. If you follow on my Instagram, porridge was my preferred choice during work days. Despite the summer weather in Orange, I have been rotating between quinoa flakes porridge and instant porridge. I find porridge to be more filling and it is perfect for the type of person who gets hungry very easily. Uhm, that’s me! Plus where I am from, we eat rice and noodles for breakfast so having porridge in summer is totally appropriate in my book ha! 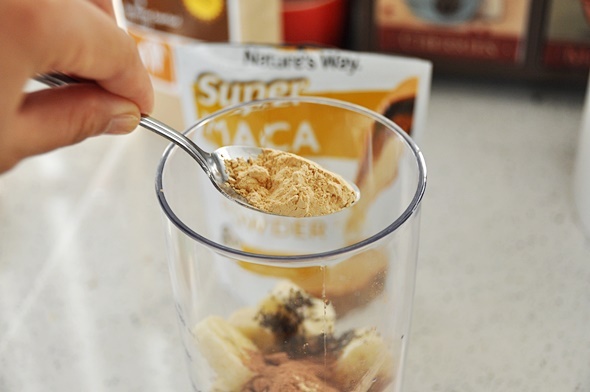 I have recently bought maca powder and the easiest way to incorporate this superfood into my diet is via smoothie. If you aren’t familiar with maca, think of it like a Peruvian ginseng. I am not a qualified nutritionist but based on my online reading, I could do with its heath benefits. 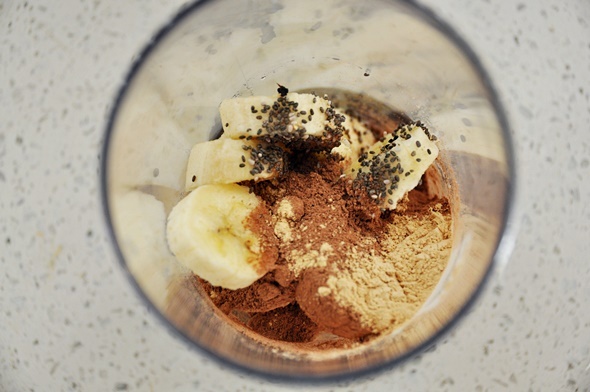 But like all things wonderful, it has to be consumed in moderation especially during the initial stage of incorporating maca powder in your diet. 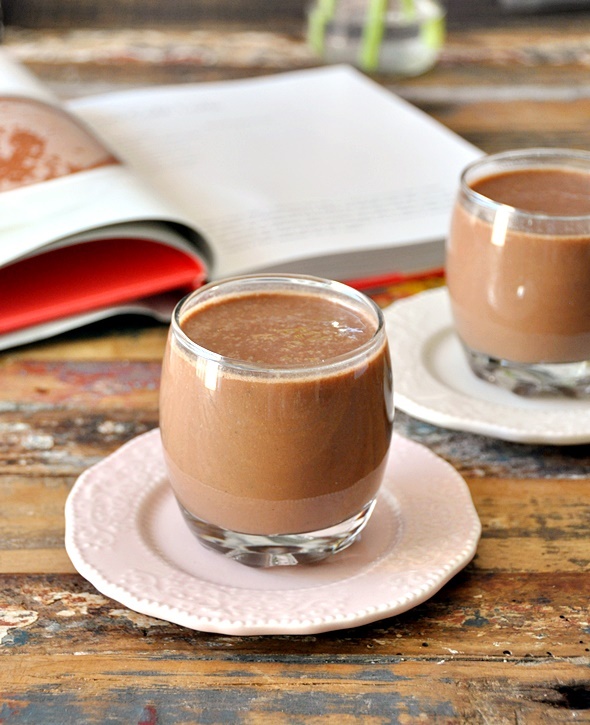 This caffè mocha smoothie is an amalgamation of my two loves: smoothie and coffee. The notion of combining the two may not be appetising but when it is done right, boy-oh-boy, it is like drinking chocolate milkshake for breakfast!. 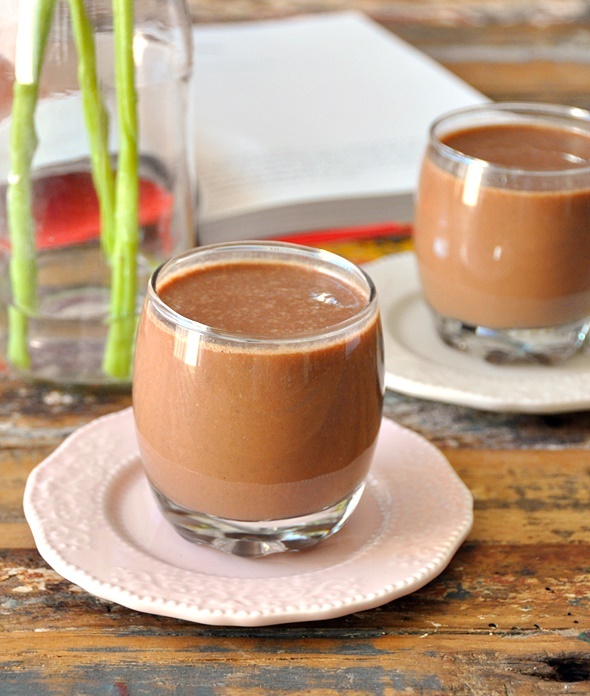 Oh so chocolatey, creamy, addictive and best of all, unlike chocolate milkshake, it contains some health values that are beneficial to you! Need I say that this smoothie is also vegan friendly? 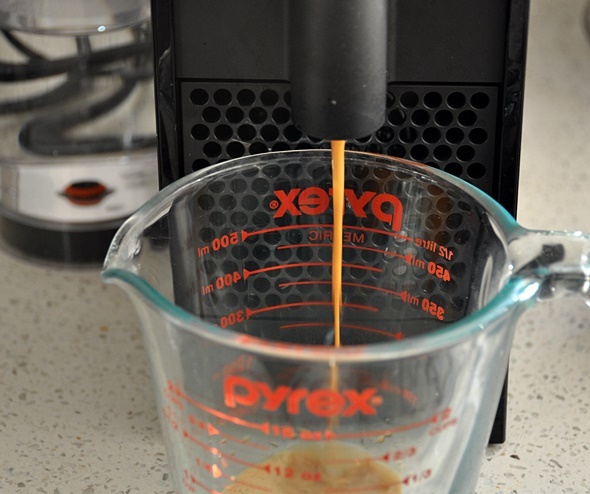 Blend all the ingredients until smooth and creamy. Original recipe uses a frozen banana, 1 cup of black coffee and 1 cup almond milk. 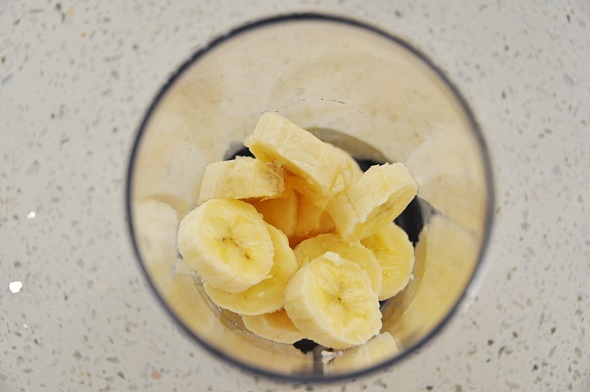 I used a non frozen banana and halved the original amount of liquid for a thicker and creamier consistency. Wow, that sounds very delicious, but yet easy to prepare. I’m taking maca root supplements almost for a year now for my energies, and i love the results. Will definitely try your recipe and tell you how it was, thanks!